Protect skin from the environmental stressors and restore smoother, plumper, more youthful looking skin. Helps skin retain moisture and diminish visible lines and wrinkles. 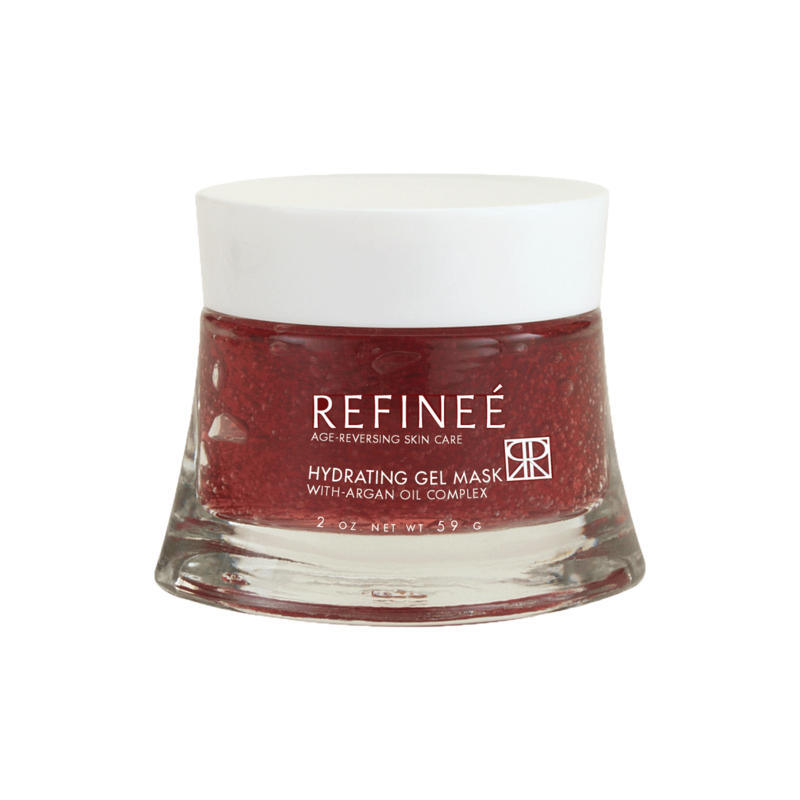 Refinee Hydrating Gel Mask with Argan Oil Complex This naturally red moisturizing mask is formulated with a precious complex of rare argan oil, resveratrol, and dragon's blood extract from the amazon's croton lechleri tree which has been clinically proven to fight the visible signs of damage. This antioxidants help protect skin from the environmental stressors and restore smoother, plumper, more youthful looking skin. Cooling and comforting cucumber and aloe soothe skin dryness. Vitamin E and panthenol help skin retain moisture and diminish visible lines and wrinkles. Superb after facial peels.